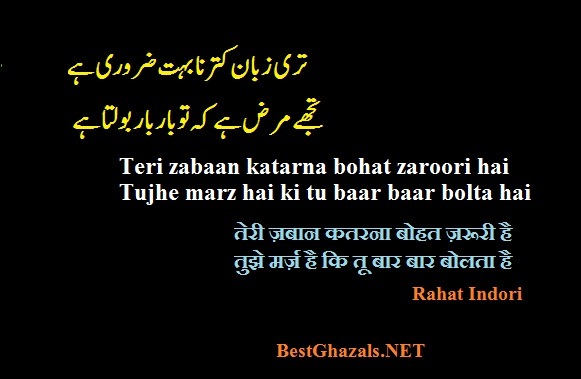 Rahat Indori, as his name suggests, belongs to Indore. He is among the foremost Urdu poets in the country. His presence ensures the success of a mushaira. 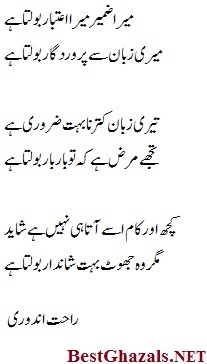 In fact, Rahat sahab is among the rare Urdu poets who directly connects with the audience. His language is simple.